All our professionals at Frederick Dental Group maintain the highest levels of accreditation and pursue ongoing education to stay abreast of the latest trends in dentistry. Dr. Verma provides comprehensive general and cosmetic dental care with an emphasis on implants, root canals, cosmetics, TMJ issues and full mouth reconstruction. He graduated from the University of Maryland, Baltimore College of Dental Surgery in 1993. He currently is Dean's Faculty at the University of Maryland where he is an attending dentist at Frederick Memorial Hospital teaching and overseeing dental students providing care for those who are less fortunate. He completed a one-year residency at the Veterans Administration Hospital in Washington, D.C. He is a member of the Academy of General Dentistry. He strives to provide the best care for his patients and as such takes many continuing education courses. He has currently completed all 7 Cores of Neuromuscular training at the Las Vegas Institute of Advanced Dental Studies. He is one of a only a few dentists in Maryland who is trained in Neuromuscular dentistry. He has been in private practice since 1994. He enjoys playing tennis and spending time with his family. Dr. Dave is a Fellow of the Las Vegas Institute of Advanced Dental Studies. Well being and optimizing health is the cornerstone of Dr. Verma’s practice philosophy. Using a combination of cosmetic dentistry, restorative dentistry and balancing occlusion allows Dr. Verma to restore form and function in a harmonious environment. She enjoys helping her patients achieve their dental results in a pain-free environment using multiple sedation methods including conscious sedation. 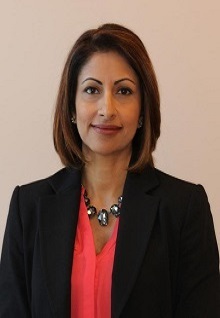 Dr. Verma is a graduate of the University of Maryland Baltimore College of Dental Surgery in 1993. 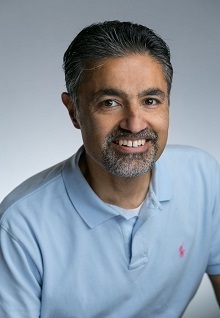 Since completing a hospital-based residency at the Prince Georgia’s County Hospital Center in Cheverly, Maryland in 1994, Dr. Verma has been in private practice. She is dedicated to continuing education and continues to expand her practice with continuous training in implants, cosmetics, and exclusive training in Neuromuscular/TMJ dentistry. Dr. Verma is an avid tennis fan, enjoys reading and has a special interest in health and fitness. She enjoys coaching others as an independent health and fitness coach and is devoted to her family which includes her three children. Dr. Arpana is a Fellow of the International College of Dentists. Alyssa joined our practice in 2013 after moving to the Frederick area from Pittsburgh, PA. She completed her training at the Median School of Allied Health Careers, and has been a Dental Assistant for over 10 years. Her expanded knowledge is displayed at each patient visit, and is able to put anyone at ease with her wonderful personality. Alyssa prides herself in her work, and has a passion for Prosthodontics. She specializes in denture and partial repair, and manages all of the laboratory work here at Frederick Dental Group. Alyssa coordinates with our Master Lab Technician, and doctors to ensure a beautiful restoration every time! Tell Alyssa what you would like to change about your smile! Alex joined Frederick Dental Group in 2004. Alex graduated college with a Bachelors Degree in Dental Surgery in 1999, and completed additional courses to receive clinical certificates in Oral Surgery and Endodontics. He then opened and owned his own dental practice in India. After years as a successful dentist in India, Alex came to United States in 2003 to continue improving and expanding his knowledge of dentistry. Alex’s goal is to complete more classes in Dental School, and be a practicing dentist here in the United States. With the experience Alex brings to our office he is able to confidently answer any questions our patients have, and provide patients with the highest level of care. Alex is gentle, and kind hearted which allows him to provide comfort during any treatment for all of his patients. Briean joined our team in 2010 as our lead surgical assistant and trained with the doctors to provide care in all general procedures. Her passion to excel clinically led her to earn her Maryland License in Expanded Functions. She later traveled with our doctors to Las Vegas to learn the latest techniques in restorative procedures, and also went on to complete courses in Las Vegas to work alongside our doctors with the latest technology in Neuromuscular Dentistry as well as Full Mouth Reconstruction. That training allows our office to offer the most up to date treatment for patients suffering from TMD, sleep apnea, and migraines. Over the last several years, Briean has gone on to complete over 200 hours in continuing education for both clinical and business. With that training, Briean took on the role of Practice Manager here at Frederick Dental Group. Her latest accomplishment was founding a Frederick, MD Chapter through the American Association of Dental Office Managers and announced her Presidency in early 2015. We are excited to see the impact Briean will have on her fellow peers in the area, and the latest up to date information she will bring our office. With her excellent clinical understanding and a strong philosophy of a patient-centered practice, Briean has the ability to work closely with patients to accomplish their treatment goals and has made many patients experience like none other. Briean is able to make you feel comfortable, and at home with her warm personality and desire to provide a high level of care. We are sure Briean will welcome you to our practice, and help the doctors meet all of your dental needs. Christina obtained an Associates of Applied Science degree in Dental Hygiene in 2014 from Allegany College of Maryland. She joined our team in 2016, and is a wonderful addition as a provider. She passionately works with her patients daily to improve their overall health, and works together with her patients to make a plan to get their health and hygiene to the highest level. Christina has a special interest in providing periodontal therapy to help patients keep their teeth for the rest of their life as well as reduce risk for systemic issues such as heart attack, stroke, and cancer. While working to get to know her patients individually, she goes above and beyond to keep them comfortable during treatment. Christina especially feels accomplished when she can make people with previous negative memories of dentistry comfortable and happy to be receiving care. In her time off, Christina enjoys cooking, working out, outdoor events, and spending time with family and friends. Tracey is a newcomer to our team but we are excited to have her as a part of our Front Office team. With seven years of experience in the dental field Tracey works passionately to build relationships with our family of patients, and coordinate all of their scheduling needs. With her previous experience, Tracey works with her patients to maximize their time in the dental chair. Not only does Tracey work to meet all of your needs in the office, but she has made our office accessible 24 hours a day by providing secure online accounts for our patients. This allows for direct messaging at any hour of the day or night, the ability to manage your account settings, requesting appointments, and so much more! If you have any scheduling needs, questions about your experience at our practice, or general inquiries, do not hesitate to ask! Juli became a part of our team in 2014, and has been a great addition to our front office team. With seven years of experience in the financial aspect of the dental field, Juli is well capable of meeting the needs of her patients. Her compassionate manner along with her knowledge makes accomplishing financial treatment goals achievable. Her care doesn’t stop when you leave the office or hang up the phone. Juli works endlessly with insurance companies to ensure she is able to maximize any potential insurance benefit. Dental treatment is in most cases an investment for a patient, and with this understanding Juli has become our Care Credit expert. Our office is now able to offer up to two years interest-free financing through Care Credit, and Juli can assist you to see if you qualify within minutes. This option allows patients to finish treatment quickly but spread the money out slowly over time according to their budget. No matter your insurance or financial need, I am certain you will experience the best desirable care even out of the dental chair.